The list of reasons why I don’t just sit down and type a few things up seems to be growing. First, we moved, and nothing was where it should be, or where I wanted it to be, and now that we’ve been here for about a month – things aren’t all in place yet, but the boxes have been banished to the spare room, and the food has it’s “place” in the cabinets. Then, oh, then there was snow. So much snow! 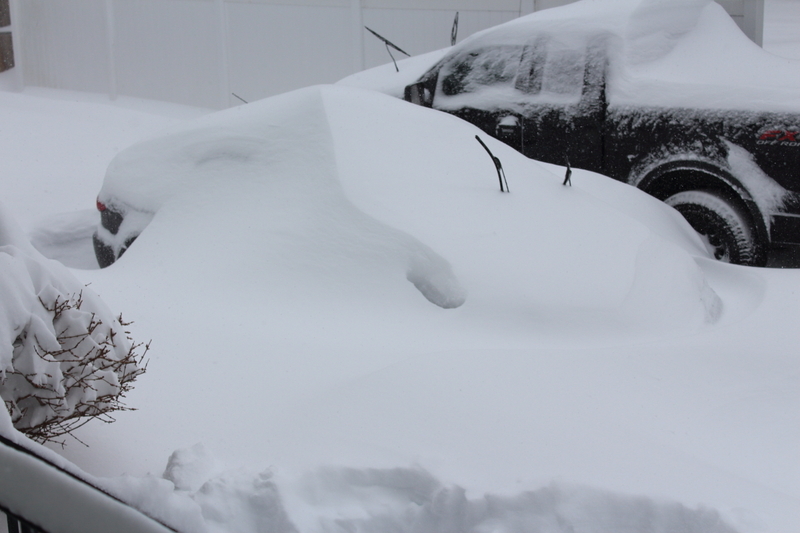 my poor little mazda was completely covered! Not just a little bit, if you include drifting, we had over 3 feet of snow at our house. We attempted to celebrate my boyfriend’s 30th by watching STORM CENTRAL, drinking some beers, I made bread and beef stew and his favorite peanut butter cookies with peanut butter chips. There was a driving ban for about 24 hours, and then it was time to do snow removal! Ugh. Nemo, you found us, and you did me in. A long time ago, when we had just bought our Christmas tree, I spent the day with my friend Steph. 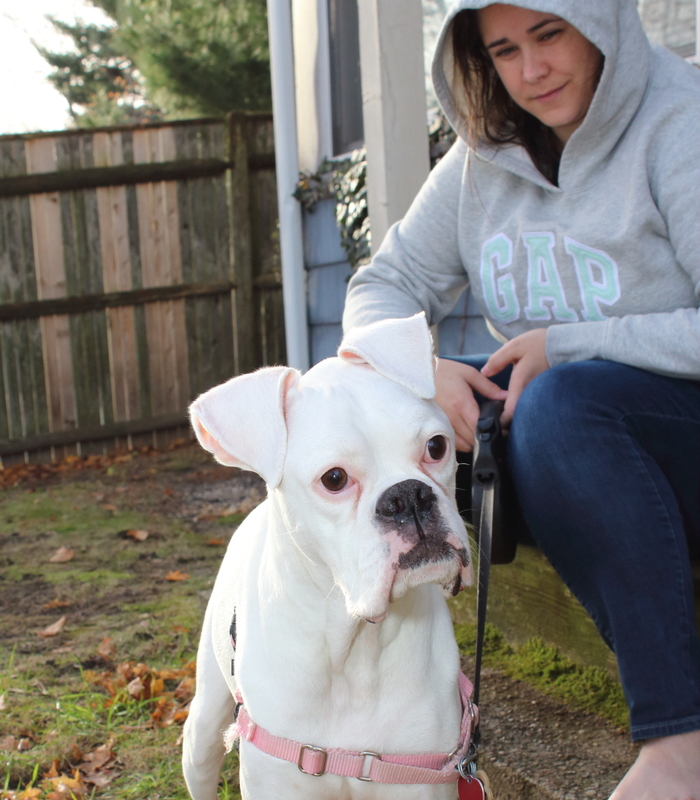 I took some pictures of her dog who had become sick and has since passed away – Dempsy, you are missed you crazy dog, you! 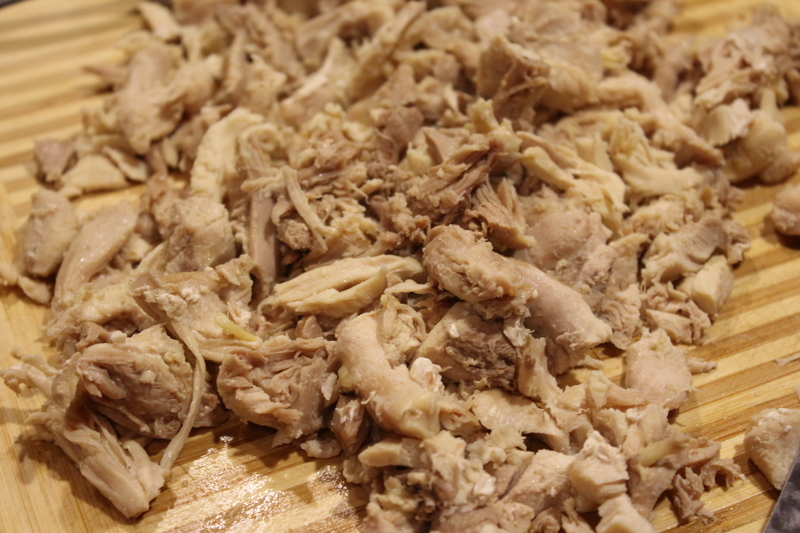 Chicken thighs – 1 pack (I believe, by the looks of the picture, it was just over a pound of meat) and by the looks of the pictures, it seems like she cut the fat, and or the skin off the chicken…? 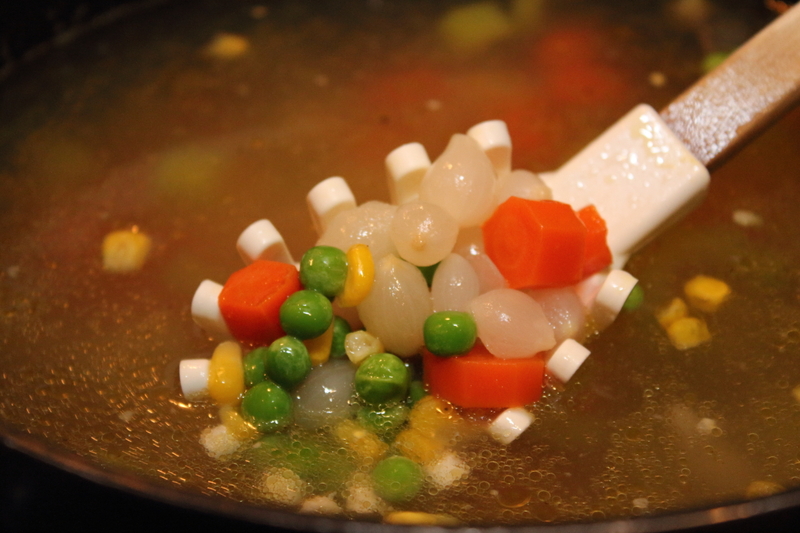 Chicken broth, enough to cover your vegetables and chicken with – I suggest you don’t use bullion cubes, cause it doesn’t end up coming out as thick as you might like it to. 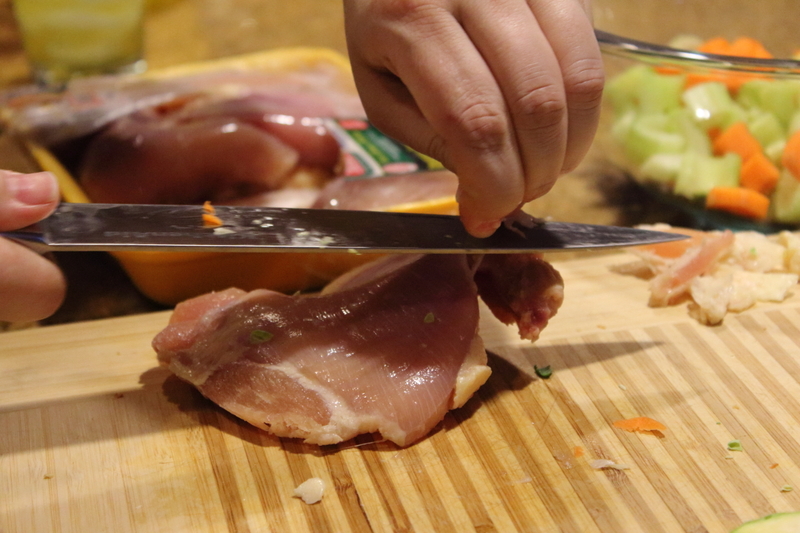 Brown your chicken thighs in a large dutch oven, and when cooked break apart the meat. Shred to bite-sized pieces and set aside. 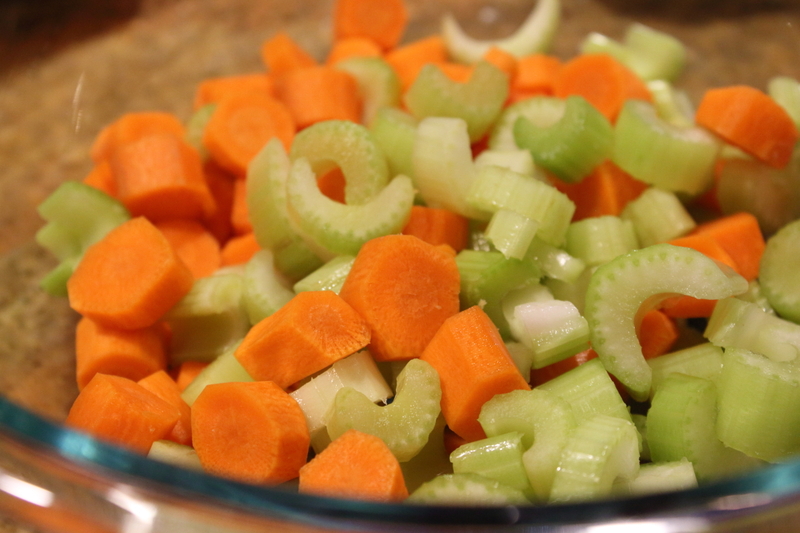 In the same dutch oven, or pasta pot, or whatever you happen to be using, boil your vegetables (covered in chicken broth) until they are almost done and then add the chicken back in. 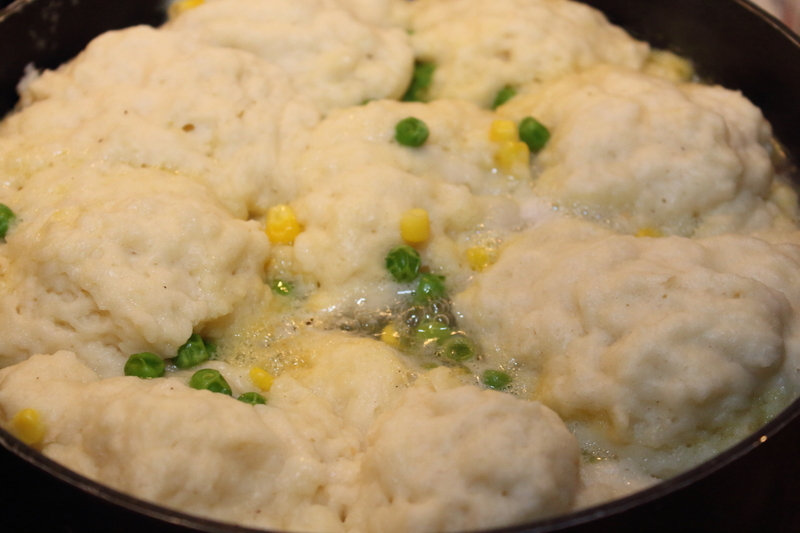 While these things are cooking, make your dumplings. I just made them the way the package suggests for dumplings, which seemed to be hard enough for me to follow. I’m not sure why I find products like bisquick so daunting, but I do. I had to stop and ask for help, and then start all over again in order to get it right. 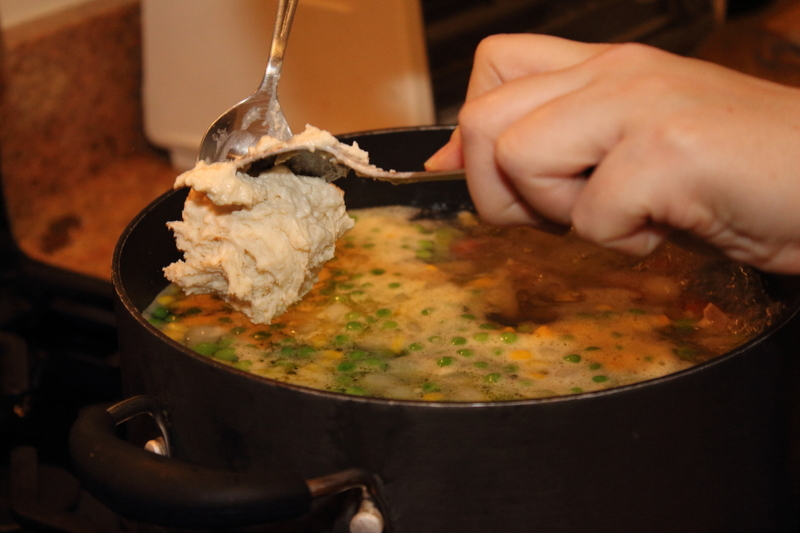 Bring broth to a boil, and drop dumplings by the spoonful to cover the top of the pot. Cook uncovered for ten minutes, and then cover and cook ten minutes longer. When you want to reheat for dinner the next day, scoop out the dumplings and and save the soup base, and make new dumplings when you reheat. 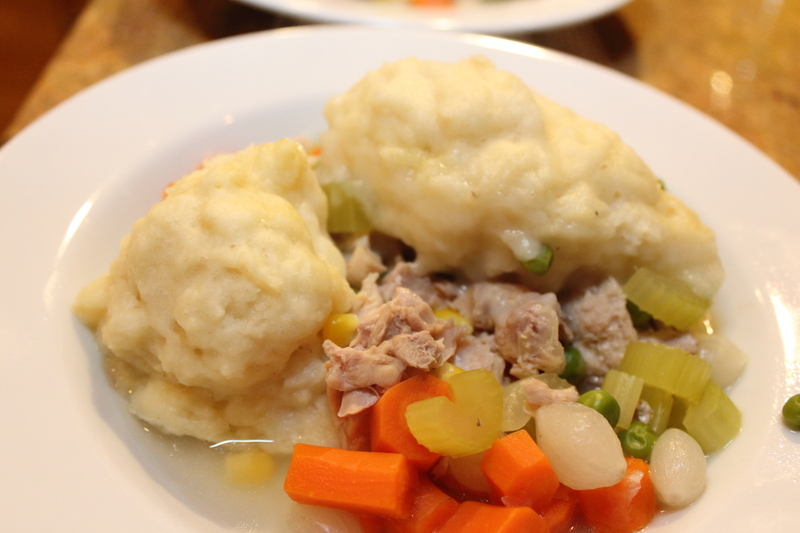 Your chicken and dumplings looks wonderful, I just made it too! 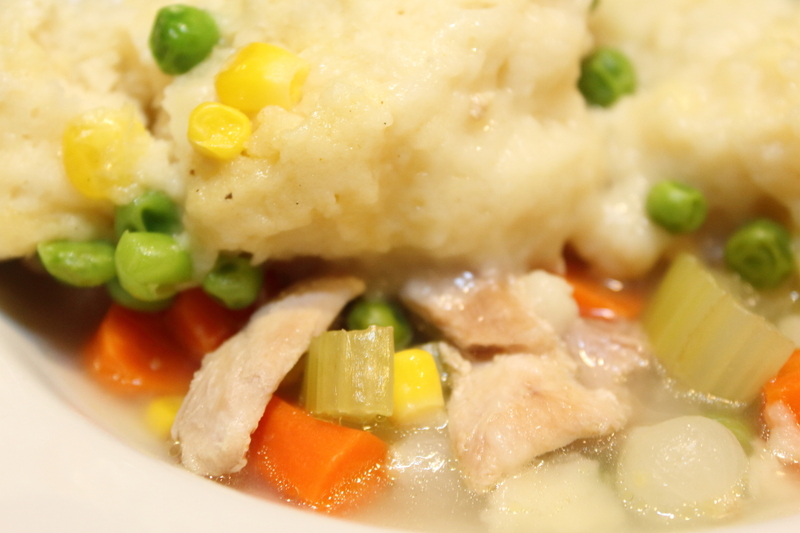 It’s the perfect time of year for this comfort dish. Thanks! I was spurred on to FINALLY type this up because I saw your’s the other day – it was the first time I’d made it, and only the second time I’d had it. It’s bound to be in rotation for the colder weather from here on out! So cool!!! I remember having that quite often in our household growing up in Cincinnati. I’m surprised I had never heard of it before – once Steph made it for me, I was hooked. It’s such a good comfort food!